With Pantry Boy, you can try out new slow cooker recipes every week, all year long. You can also discover exciting meals from a variety of world cuisines. While this service does not offer too many items on its weekly menu, its selection of recipes changes weekly, allowing you to explore the world of slow cooking and making sure you never get stuck cooking the same meals all the time. 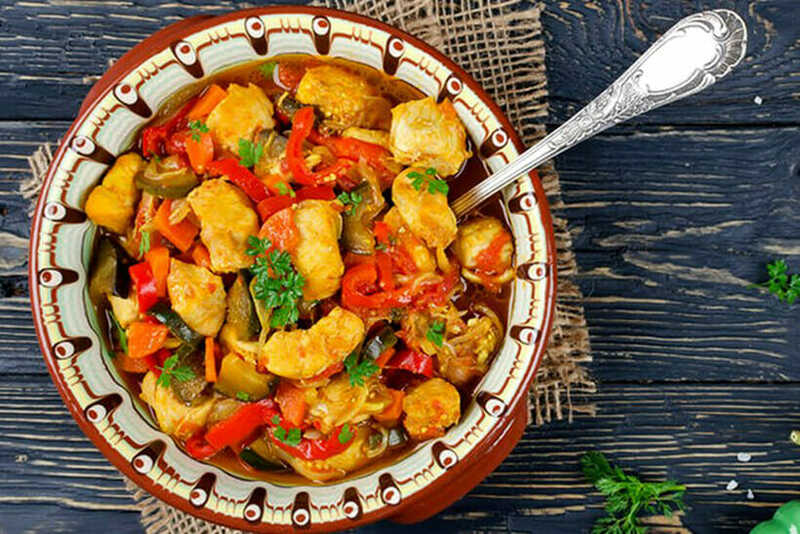 On top of that, it offers excellent meal ideas suitable for different diets and takes great care that the recipes you receive are in accordance with your preferences. Pantry Boy offers 3 meal plans: Carnivores, Omnivores, and Vegetarians. All the plans bring you gourmet slow cooker recipes that allow you to cook up a masterpiece with minimum effort. Every recipe yields 2 or 4 servings. With the Carnivores plan, you receive recipes that are rich in proteins coming from all kinds of meat, fish, and seafood. The recipes also include enough vegetables and grains to give your body all the valuable nutrients it needs. 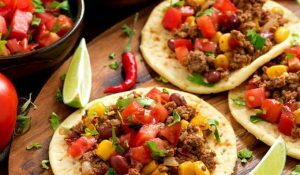 You can expect everything from beautiful con carne tacos to rich beef shakshuka. With the Omnivores plan, you get optimally balanced recipes, including the wonderful treasures of the sea, just the right amount of meat, all kinds of colorful veggies, and beautiful, earthy grains. The Omnivores recipes range from light Portobello risotto to rich beef stews and amazingly satisfying baked beans. The Vegetarians plan focuses on recipes that make perfect use of all the lovely veggies of the season, as well as various kinds of cheese and healthy grains. This plan brings you such gorgeous vegetarian dishes like creamy and cheesy rigatoni & zucchini, fresh coconut corn chowder, quinoa & beans tacos, and much more. 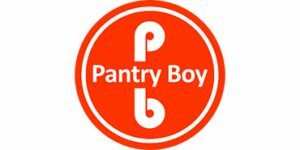 Pantry Boy delivers farm-fresh ingredients prepared by its team of professional chefs. Everything you receive is handpicked, carefully trimmed and chopped, and ready to be transformed into an amazing dish. This makes the whole process much speedier, so it should not take more than half an hour from the moment you unpack the ingredients to the moment you place them into your slow cooker. The recipes include clear, step-by-step instructions, which make them incredibly easy to follow. Each recipe contains precise information on the cooking time, slow cooker time, the process of cooking and combining the ingredients, and the basic items you need to prepare the meals, such as oil, salt, pepper, and baking sheets, as well as handy tips and tricks that can help you maximize your cooking results. While Pantry Boy slow cooker recipes are not designed with allergies in mind, the service is more than happy to alter them in order to accommodate your needs. You can let Pantry Boy know which ingredients you need to avoid and receive customized recipes free from allergens. Apart from offering excellent slow cooker recipes and fresh, natural ingredients, Pantry Boy has a number of other advantages, including reasonable prices, great discounts on longer subscriptions, and free shipping. Therefore, be sure to consider it when searching for your next meal delivery service. Pantry Boy brings you top-notch ingredients straight from the farm, fresh, chopped, and trimmed, waiting for you to combine them into a masterpiece with the company’s easy-to-follow recipes. If you want to enrich your collection of slow cooker recipes and treat yourself to some fuss-free cooking, take a look at this detailed Pantry Boy review.